Zinfandel wine is considered by many wine lovers to be as American as Baseball, Apple Pie, Motown, Jazz and the Blues! But that is not the conclusion reached by the research team at UC Davis when it comes to origin of Zinfandel Grapes. 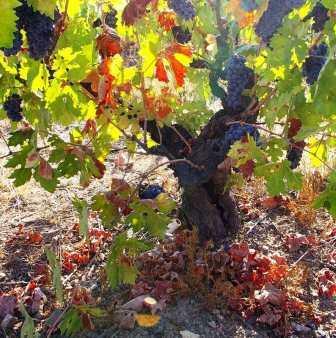 In 1967, professor Austin Goheen recognized similarities between Zinfandel wine grapes and Primitivo, an Italian wine grape. Research continued and it was discovered that Primitvo was related to the Croatian wine grape, Plavic Male. Carole Meredith, the owner of Laiger Meredith in Napa, using DNA confirmed that Primitivo and Zinfandel were given birth from the same clones and that Plavac Mali was not Zinfandel. In part, based on this information, Croatian born winemaker Mike Gigrich formed ZAP, Zinfandel Advocates and Producers in 1971. After further study, Zinfandel is clearly Croation in birth, however, its parent is the seldom seen Tribidrag grape. Zinfandel wine grapes may have arrived in America about 1820. By 1830, vines were being sold under the name of Zenfendal. In 1835, Zinfandel wine Grapes were gaining in popularity under the name of Zinfandel. The juicy, flavorful, sweet, fruit was being sold as table grapes. That all changed once gold was discovered in California. When news of gold broke out, people packed up their belongings and vines and moved to California. By the close of the 19th century, Zinfandel grapes were being planted all over California. Many of those old vines are still producing fruit, In fact, one of the great things about Zinfandel wine grapes is a lot of the fruit is harvested from vines that are over 100 years old! Like much of the California wine industry, once prohibition became law, vines were allowed to wither and die. When prohibition was repealed, Zinfandel fell from favor. That is no longer the case today, as the popularity of Zinfandel continues to grow. In fact, Zinfandel has its own holiday, National Zinfandel Day is celebrated every November 19! In 1972, a new type of wine was being marketed by Sutter Home winery. It was produced using the saignee method of making rose’ wines. Sutter sold the wine under the name, “White Zinfandel.” The wine quickly became immensely popular and Zinfandel began to experience a rebirth in popularity. White Zinfandel sold well because it was inexpensive and possibly due to the wine being a little sweet. The sweetness came from a fortuitous accident. In the early 1970’s, white wine grapes were in short supply. To compensate for the consumer demand, winemakers began producing white wine from red wine grapes. This was accomplished by not allowing much contact between the juice and the grape skins. Sutter experienced a problem, the wine went through a stuck fermentation. This takes places before all the sugar turns to alcohol, which leaves a sweetness in the wine. Consumers loved it and the popularity of White Zinfandel skyrocketed! While experienced wine consumers do not purchase White Zinfandel, due to its low price and high sugar levels, White Zinfandel, which really looks more like a blush or rose’ wine, remains popular. It is thanks to the success of white Zinfandel that red Zinfandel eventually regained interest with the next generation of wine consumers. However, it is important to note that red Zinfandel and White Zinfandel are not close in quality levels. The best red Zinfandel wines can offer fabulous, lush, concentrated, spicy, delicious wine tasting experiences. The top red Zinfandel wines can also be quite pricey. White Zinfandel is a light, easy drinking, uncomplicated, semi sweet wine that sells at a very low price point. Zinfandel remains a niche grape variety as not much is planted, especially when compared with Cabernet Sauvignon and Merlot. As an example, only 3% of the vineyards in Napa Valley are planted to the grape variety. That being said, America has the majority of Zinfandel vines. Over 50,000 acres in the USA are devoted to Zinfandel. Italy and Croatia also have Zinfandel vines. Due to its early drinkability making it delicious on release and its low price levels, Zinfandel remains popular among some consumers. Zinfandel with food. Zinfandel is the American wine grape. That makes red Zinfandel the perfect wine to pair with the all American meal of anything cooked on the barbecue! Sweet and spicy barbecue sauces are hard to pair with many wines, but when coupled with Zinfandel, it’s a wine and food match made in heaven. Zinfandel is great with all types of barbecued foods, and as good or better with ribs, pork, hamburgers, hot dogs, spicy sausage, chicken, lamb, steak and almost every other grilled dish you can think of. Zinfandel is perfect with smoked foods, try it with smoked ham, pork or duck for example. Zinfandel can also be paired with an assortment of hard and soft cheeses. There are people that enjoy pairing Zinfandel with chocolate, but personally, I am not sold on that specific pairing. When ripe, Zinfandel wine exudes ripe, red and black fruits including raspberries, jammy cherries, strawberries and red plums along with spice, pepper and jam characteristics. The wine is high in sweetness and alcohol. Most Zinfandel wine is best consumed within 5 years of the vintage, or less, to preserve its fruit and freshness. While some Zinfandel wine ages, most do not become more interesting with time. Zinfandel wine grapes perform best in hot, dry climates. Zinfandel grapes reach their best expression in growing seasons with hit, sunny, dry weather during the day, and cool temperatures at night. The vines are best suited to rocky, alluvial soils and hillside plantings. Zinfandel is produced in a wide array of styles. Basically, you have the lighter, medium bodied styled wines with a focus on red fruits. There are also Zinfandel wines with more body and concentration that show some jammy qualities, spice and peppery character. From there, you have the bigger, bolder, riper styled wines that usually from old vines that can be incredibly dense and concentrated, or over the top with jammy, pruney qualities that depending on the style of wine you enjoy can seem over the top or Port like in style. Turley, Carlisle, Hartford Family, Outpost and Ridge are just a few of the better known, high quality producers of Zinfandel wine. The truth is, there are numerous California wineries making high quality Zinfandel wine in the Golden State today. Zinfandel remains a very popular grape variety, in part, thanks to the promotional efforts of ZAP, Zinfandel Advocates and Producers. In fact, the Zinfandel grape even has its own holiday, National Zinfandel Day is celebrated November 19.